« Thinking of getting a dress form? It’s Alicia here again, from Felt With Love Designs. A few months ago, I began the “Learn to Sew a Quiet Book” series with “What is a quiet book?” and continued last month with the first page in the series. 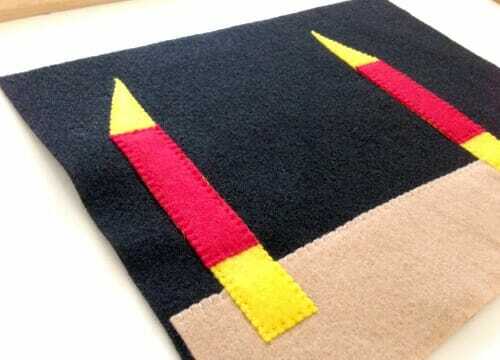 Today, I have a full tutorial and free pattern for the second page! 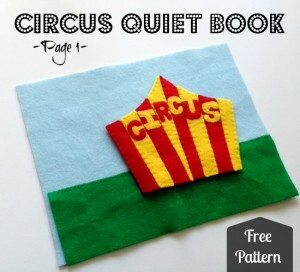 If you are interested in more options, check out the quiet book archive on Felt with Love Designs. 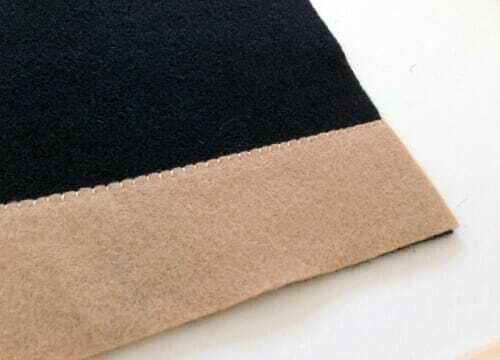 Sew one yellow column on each side of the page. 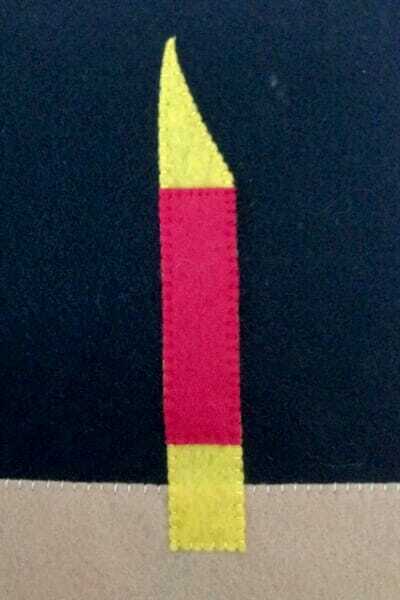 Attach one red rectangle in the middle of each yellow column to create the illusion of stripes in the column. 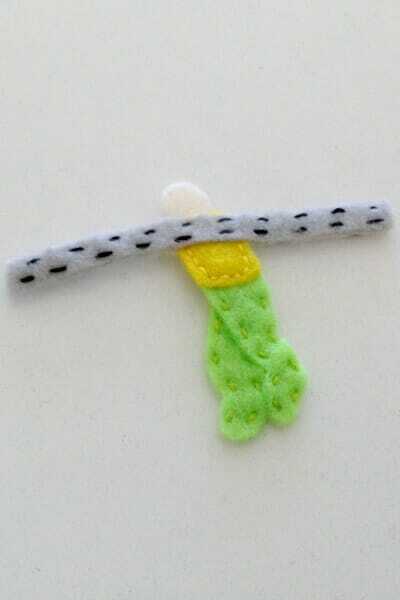 Using a full strand of embroidery floss, sew a strand parallel to the top of the page, near the top of each column. 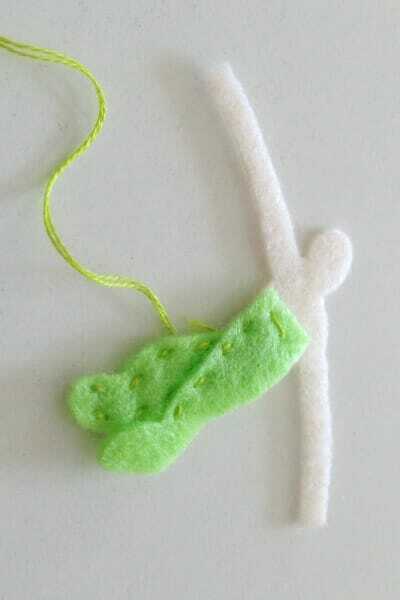 Sew the green pants to each leg of the skin tone tightrope walker's body piece. Sew the yellow shirt, overlapping the green pants a little. Sew the grey bar across the tightrope walker's body, overlapping the shirt and arms. Sew the back of the tightrope walker's body to the embellished front piece. In the pattern, I also included a piece for hair, if you would like to embellish your tightrope walker more (I ended up liking mine plain so I didn't add hair or a face) and hands to overlap the pole, if you choose. 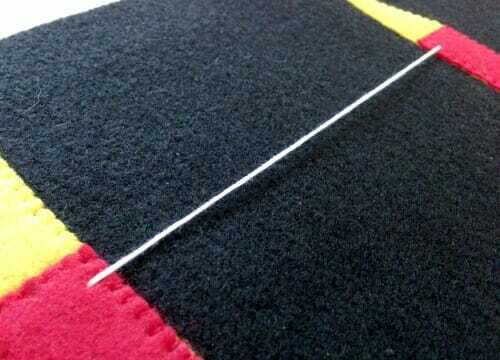 As in the last page, I chose to leave my tightrope walker to attach through the magic of felt. 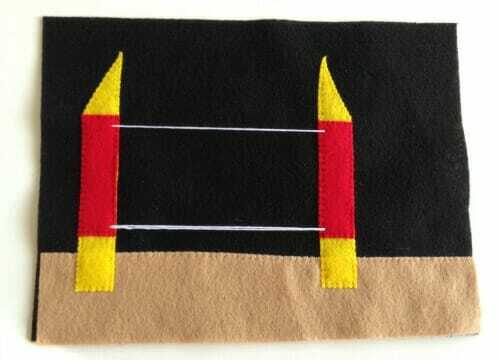 You can add another layer of fun by sewing magnets, snaps, or velcro into the tightrope walker and various places in the background so they have a designated place to attach. 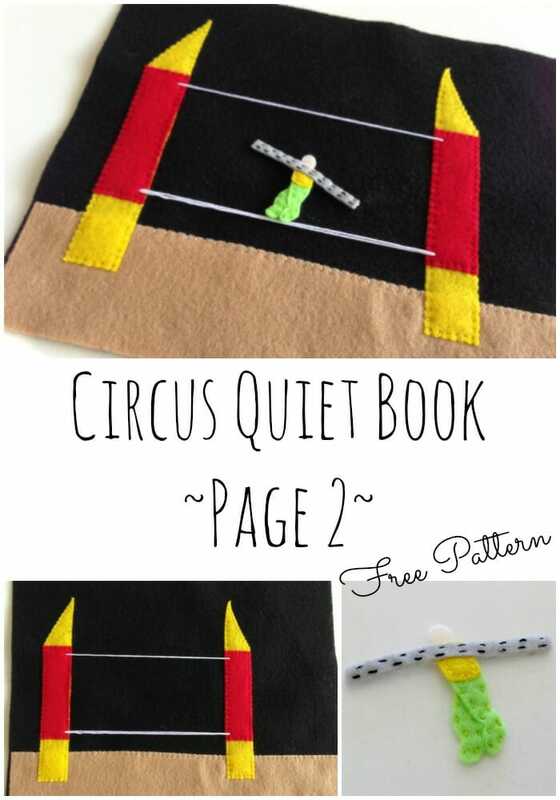 If you can’t wait until the next post in the series and want to sew another quiet book page immediately, the turkey buttoning page (you could easily make it a peacock for a non-holiday page) and the Easter egg hunt page are two of my favorites! We also have a pattern for a fun 4th of July fireworks page (part 1 and part 2)! 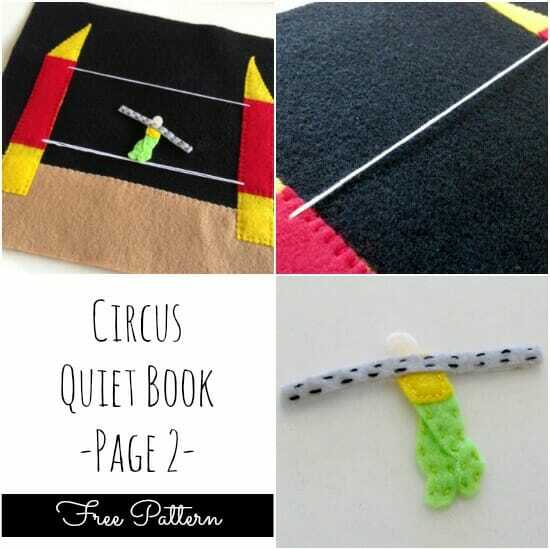 Come back soon for Page 3 of the Circus Quiet Book!